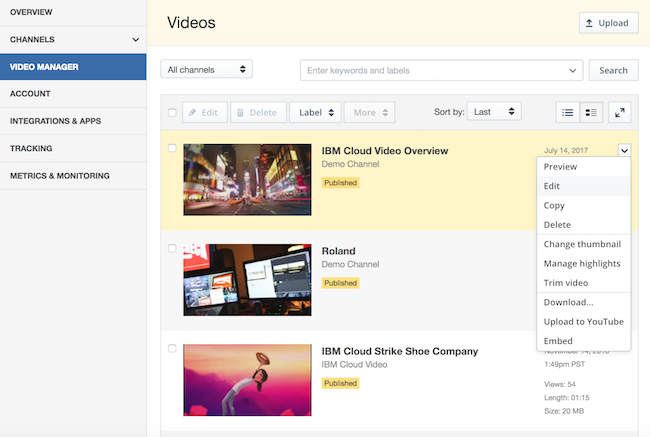 Within your IBM Cloud Video dashboard you can edit the start and end playback points for video files. This is sometimes called trimming the head and tail of the file. This can be useful if for example you want to cut out a long intro or ending that is part of the video recording but does not contain useful content. 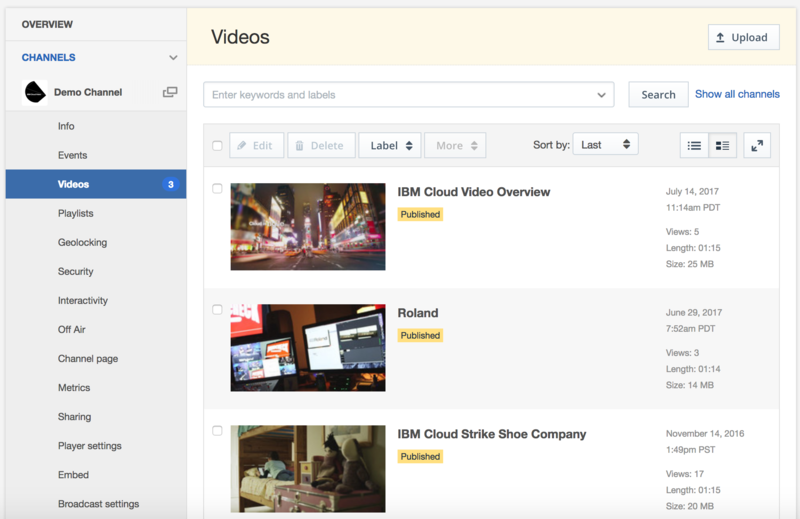 As part of your account dashboard, you will find your video manager. This is where you manage all the videos you have recorded or uploaded. Hover over a video in the list, use the drop down menu on the right side and choose "Trim video"
Use the play button to preview the video and use the handles to set the in and out points of the video. You can preview your edit by pressing play again. Once you have set the in and out points where you want them, you can use either of the two buttons to save your edit. 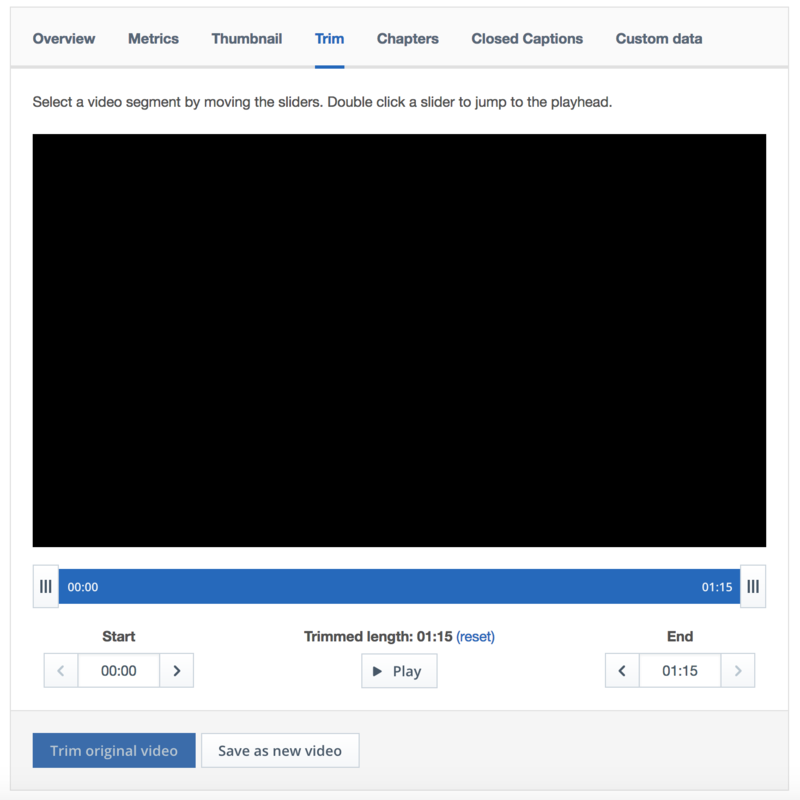 Trim original video will save the in and out points to be used within the IBM Cloud Video player, but your full file will be preserved. Any views or metadata edits on the trimmed video will be shared with the parent video. Save as new video will create a new file. This new file will have separate view counts and metadata than the original file. This new file can be downloaded, shared, or used in 3rd party players and the clip will start and end at the new points that were set in the tool with the remaining video information discarded.